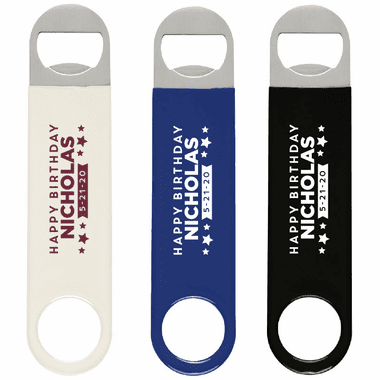 Spruce up your big birthday bash with bartender bottle openers in cool colors complementing your party theme. 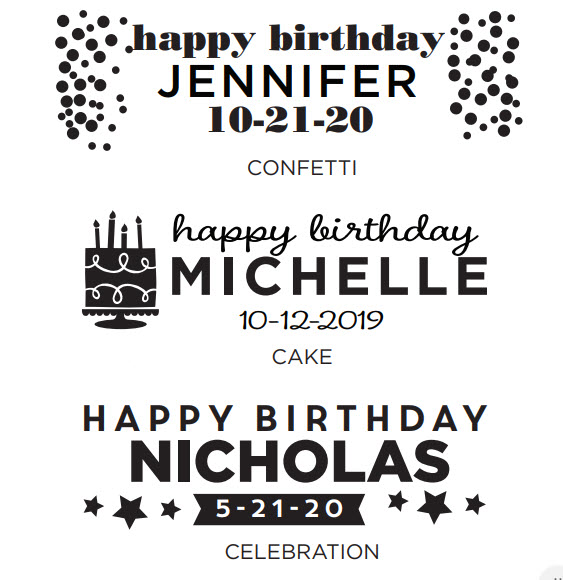 Stylish and fun, each practical birthday favor measures 1 ½" W x 7" H with an imprint area 2 ½" W x ¾" H.
Made of sturdy metal with a vinyl cover, they are sure to create a favorable impression in the minds of your guests. 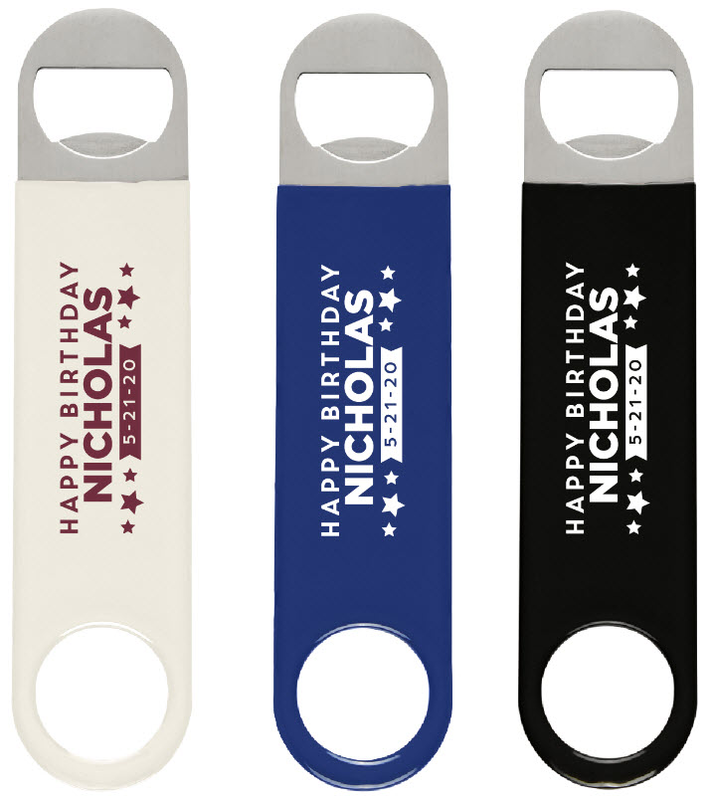 Use the customization option to silkscreen a chosen message, logo or imprint as the finishing touch, and these sleek gifts are ready to be distributed among your guests. 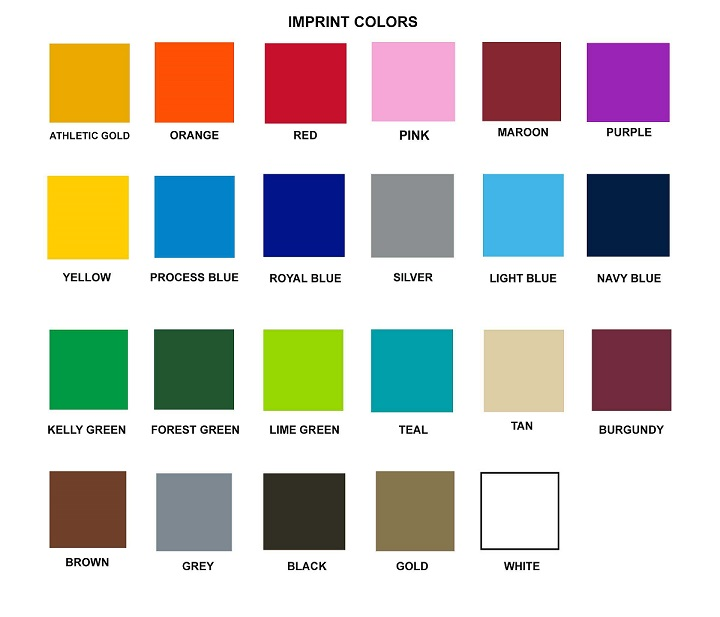 I am very hapwonderful product and good serice.